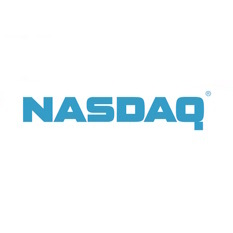 Nasdaq has just acquired market data analytics provider Dorsey, Wright & Associates, LLC (DWA) for $225 million, part of a new bid to bolster its existing index portfolio with model-based strategies. The move follows on the heels of last month’s Nasdaq partnership with the Dhaka Stock Exchange, which integrated Nasdaq’s X-Stream trading technology. Nasdaq’s newest acquisition of DWA will meld both passive indexing and smart beta strategies with the aid of providing more concrete financial analysis to users. The deal is expected to conclude during Q1 2015, combining DWA’s 17 ETFs and Nasdaq’s 69 licensed smart beta ETFs. Overall, these ETFs will prioritize and focus on dividend and income strategies. Pending a number of approvals and formalities, Nasdaq’s $225 million acquisition of DWA was funded via a mix of both debt and freestanding cash. Consequently, approval of the deal will make Nasdaq Global Indexes one of the largest providers of smart beta indexes with nearly $45 billion in assets benchmarked. “Smart Beta represents one of the fastest growing sectors within the ETF market. This deal will allow us to grow significantly, while continuing to create products and strategies that meet the needs of our clients,” added Tom Dorsey, President, Dorsey Wright & Associates, in an accompanying statement. “We intend to integrate the DWA team with our broader Nasdaq organization, leveraging DWA’s research expertise and deep relationships with the financial advisor community, and we expect to generate revenue synergies by deepening DWA’s licensing relationships with the ETF sponsor community globally,” reiterated Friedman.